I am not finished with Paris! 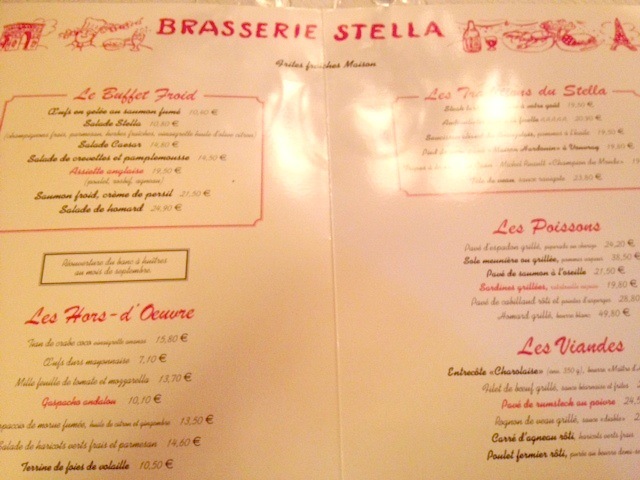 When I pass by and am lucky enough that my Father is around, a Pilgrimage to the Stella is necessary: the Stella is probably my Fathers favourite Brasserie. 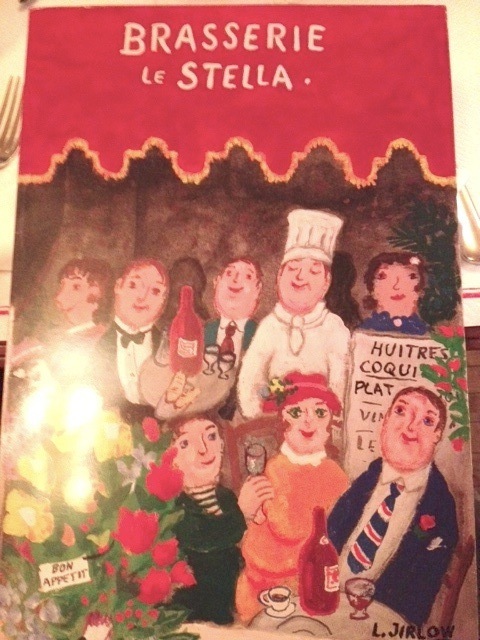 I love the red 1950's front, cosy woody inside and the experimented old guard Waiters who know customers by their name, are witty and cheecky, just what a french Waiter should be (as opposed to the moody grumpy attitude we usually get in Paris). 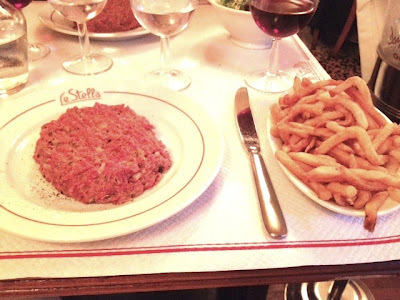 And I haven't even started with the menu... Love their Steack Tartar with Fries, or their home Smocked Salmon, Petit Sale aux Lentilles and Andouillette, Oysters of course, all good traditionnal french Cooking. 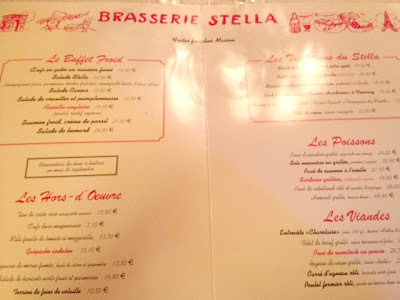 Even the Deserts are fantastic: in Summer they have an amazing Giant Chocolate Eclair, and last time we were there, my Sister and I cheerfully encouraged our Waiter to be generous with our Father's Baba au Rhum, resulting in a Baba literally drown in a pond of Rhum. Can't thank that Waiter enough for my Father's face when he set eyes on his Plate.